Completely self-contained eliminating the need for hose and priming. 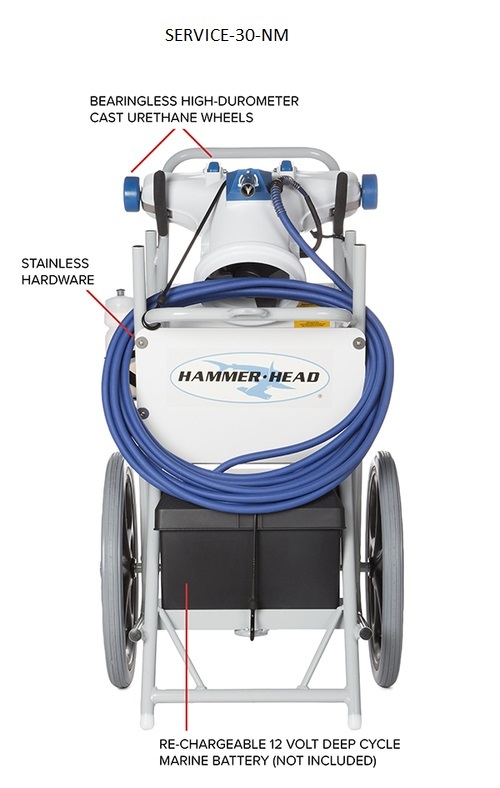 One piece high density rotationally molded head, 21″ wide service head and 30″ wide commercial head.Heavy mesh filter bag traps fine sand particles, leaves, rocks, etc.Factory sealed marine motor.Battery operated.40′ power cord standard, 60′ on commercial units.Easy to use. 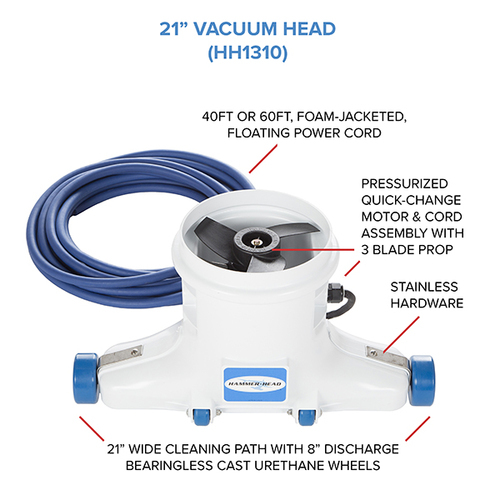 Roll it to the pool, lower in the head, turn on the power switch and start cleaning.Reduce your cleaning time. Does 15′ x 30′ pool in 15 minutes. Increase your production. Can pay for itself in a month. Cart Benefits: Made for heavy, rigorous, everyday use.Rolls up staircases and out of storage areas with easy maneuverability from pool to pool.